ShinHan Pass takes its name from a subway or metro pass. Like a travel pass that allows access to unlimited modes of transportation, ShinHan Pass allows both transparent and opaque techniques to be realised within a single tube. 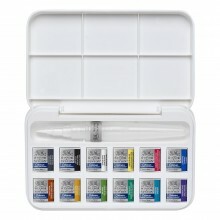 A combination of watercolour and gouache, ShinHan Pass also exhibits characteristics of gouache. A low amount of gum arabic and glycerin in this paint makes brush strokes more free and colours appear more saturated. ShinHan Pass paints are made of the world's best pigments. 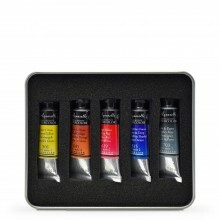 These vivid colours are lightfast and each colour maintains its own integrity when blending.